Ignite Student Ministries exists to positively impact today's youth culture by sharing the life changing message of Jesus Christ and providing an atmosphere of excitement and purpose. We seek to prepare youth for leadership in service around the world for the glory of God. Who is involved in our youth activities? 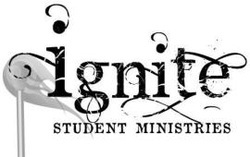 Our youth gatherings -- "IGNITE" -- is a group of young adults from ages 12 or 7th grade to 18 years old. Alongside them are a team of dedicated adults helping in many ways to facilitate healthy, Holy Spirit-led activities. We like to have good time with an emphasis on growing in spirit and truth, teaching in a way that is relevant to today's youth culture. Starting with a time of socializing and getting to know each other better, we build relationships that are eternal. We then settle into a time praise and worship followed by teaching, learning and sharing. It is exciting to see what God wants for our youth, and how they will make a difference in our community and around the world for His Glory. When and where do we meet? Youth worship and devotional is from 6:30 until 7:30 p.m. on Wednesday evenings in the youth area of the Church. While we meet, adults and children are involved in Dayspring's weekly prayer meeting where our youth are most definitely prayed for. It's what God wants you to be, a light to the world! That means spending time with His people just like you and me and most importantly spending time with Him in His place. Like the guy said in Psalm 16:11: "You will show me the path of life; In Your presence is fullness of joy"
In the past we have had great summer camps, special events during the year and local week long mission trips. It is a great time in the Lord and you can expect the young people of DaySpring to be equipped to go on and do something really exciting for the Lord.